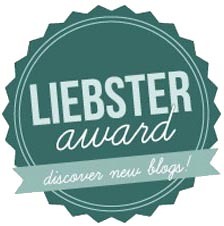 I've been nominated for a Liebster Award, yay! Big thank you to the lovely Ellie Mae check her blog out here. I was really surprised because I didn't realise people actually read my crazy internet ramblings. These are a sort of word of mouth award for blogs with less than 200 followers (definitely me, see above) to try and get people recognised. It defintiely works considering I've checked out so many cool new [to me] blogs because of these. Tell the bloggers they've been nominated! If you could live one place that's not where you live now, where would you live? Somewhere hot and nice and new, like Dubai or Qatar. You're in a restaurant, what do you order? My Barbour jacket. Without a doubt in sunny Scotland! What's your favourite phrase to live by? Laziness or bossy-ness, so many. Probably my school exam results or competing at the European Championships last year. Mmmm, something by the sea. Or Venice last year. In front of the camera or behind it? Do you wear any jewelry all the time? What colour are your nails painted? City or country life and why? What's your worst fashion faux pas? Ahh a fellow lazy person. That's always nice to see.